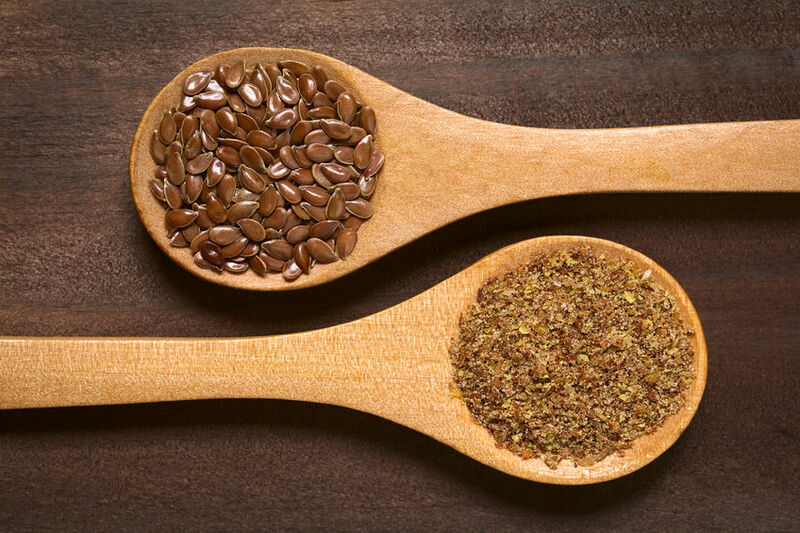 Q: Does flaxseed protect against breast cancer or increase the risk? A: Flaxseed most often raises questions regarding breast cancer because of its compounds called lignans. These compounds, sometimes called phytoestrogens, have a chemical structure similar to estrogen. At first glance, it might seem that would increase risk of estrogen-sensitive (ER-positive) breast cancer, which is spurred by excess estrogen. However, research suggests these tiny brown seeds do not increase cancer risk and could even be protective. In animal studies of human breast cancer, flaxseed and lignans isolated from it reduce breast cancer development, slow growth of existing breast tumors and lower levels of several growth factors that promote breast cancer. Human studies are limited but suggest that if anything, including one to four tablespoons of flaxseed per day might reduce breast cancer risk, especially in post-menopausal women. Research also does not support fears that flaxseed increases breast cancer recurrence. In animal studies, flaxseed did not interfere with the effectiveness of the anti-estrogen medication tamoxifen. Only a few observational studies following breast cancer survivors for 6 to over 10 years are available. These studies are relatively consistent in linking higher dietary or blood levels of lignans with fewer deaths. Limited clinical data in humans shows no interference with tamoxifen from three to four level tablespoons of ground flaxseed per day. More clinical studies are needed before recommendations can be made. Breast cancer survivors who want to consume flaxseed on a regular basis should discuss it with their physician. Beyond a super-concentrated source of lignans, flaxseed also contains omega-3 fat, and can help blood sugar control and insulin sensitivity. It’s also a concentrated source of dietary fiber, which can help lower blood cholesterol, reduce colorectal cancer risk and promote bowel regularity. Flaxseed oil is a healthy choice to use for salad dressings or to drizzle on whole grains or soups after cooking. It supplies the omega-3 fats but not lignans, unless the bottle indicates it’s among the brands that have added lignans. For more on flaxseed and cancer risk, along with cooking tips and recipes, visit AICR’s Foods that Fight Cancer: Flaxseed. One important point to remember: Lignans are found in a variety of plant foods, including nuts and other seeds, whole grains, fruits, vegetables and even coffee. Studies that link higher blood levels of lignans with cancer-protective effects may also be reflecting protective effects of an overall eating pattern high in plant foods, with potential for many plant food components to act synergistically. When consuming, eat ground flaxseed to allow your body to absorb the lignans and omega-3 fats. You can grind flaxseed in a coffee grinder or food processor and then store in the refrigerator. With the whole flaxseed, you’ll still get the fiber but its other healthy compounds can’t be absorbed. Make sure to have flaxseed at least one hour before or two hours after taking any medication. Otherwise its concentrated fiber – 8 grams in just 4 tablespoons – could decrease how much of the medication you absorb. One other caution if you want to add flaxseed to your diet: don’t let the “health halo” lead you to ignore the calories. With almost 150 calories in four tablespoons, account for this before you add it too liberally. Remember that when it comes to reducing breast cancer risk or improving outcome for breast cancer survivors, avoiding excess calories that can lead to weight gain is a priority that research clearly supports. 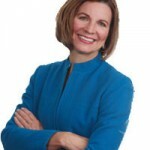 AICR HealthTalk is by Karen Collins, MS, RDN. Does soy products cause cancer cells to grow? Basically though, there’s a strong body of research now showing that for breast cancer patients and survivors, eating moderate amounts of soy foods does not increase cancer risk.